Before you start trading in equities and other stock market securities you need to have a trading account and an account with The Central Depository (Pte) Ltd (CDP). The CDP account is for the settlement of trades. It keeps all the shares you buy on Singapore Exchange (SGX), and electronically records the movements of the shares in and out of your account as you buy and sell them. Your trading account needs to be linked to your CDP account before you start trading. Studies have proved, time and again, that shares are one of the best long-term investments in the financial market place. They tend to outperform government bonds, corporate bonds, property and many other asset types. Shares provide investors with two types of returns – income returns (or dividends) and capital growth. In the fight to grow wealth and beat inflation, shares play a major role. A trading account is mandatory if you are looking to invest in stocks and shares, especially those listed on the Singapore Exchange. A trading account can be used to invest and trade in securities other than shares. These include fixed income and government securities like corporate bonds and government bonds, unit trusts, American Depository Receipts, exchange traded funds, futures, options etc. There are a number of brokerages that enable you to invest in and trade in securities not just in Singapore but also from other global markets. For instance, Citibank’s brokerage services allow you to make the most of opportunities in the Singapore, Hong Kong and United States markets on the NYSE, NASDAQ, AMEX, HKEX and SGX exchanges. A good portfolio will have assets distributed over a range of asset categories including savings accounts, term deposits, unit trusts, gold and silver, property and stocks, shares and bonds etc. 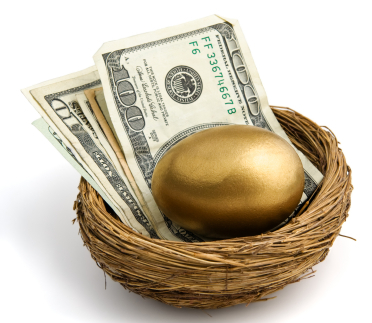 A trading account supports an investor in building a diversified portfolio. An investor not only needs to trade/invest in different securities but also do so easily in a hassle-free manner. A good trading account provides investors with the ability to trade in an easy, convenient manner on a platform that enables service delivery through multiple communication channels. For instance, Citibank’s brokerage account enables investors to trade and track their portfolios online, via Citi Mobile and also through a telephone hotline. Some good trading accounts also provide a range of advisory services (charges may be levied). Investors starting out on the stock market can use these advisories to learn more about different securities and strategies for investing/trading in them.